First time on the market in almost 40 years. 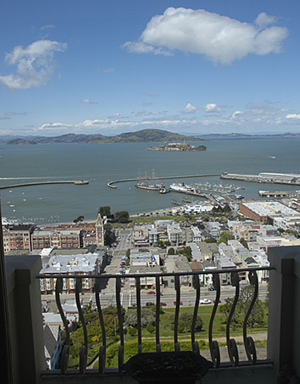 Rare offering of a spectacular full floor Penthouse cooperative apartment offering splendid views of the Golden Gate Bridge, Alcatraz Island, the Bay and City from three exposures. The changing colors of water & sky, plying of sailboats, cruise liners and cargo ships add excitement and glamour to life on the Bay. 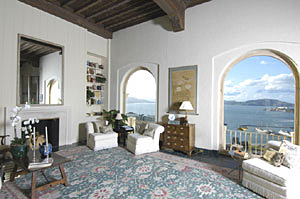 Oversized arched windows in this trophy property take full advantage of the world-class views! 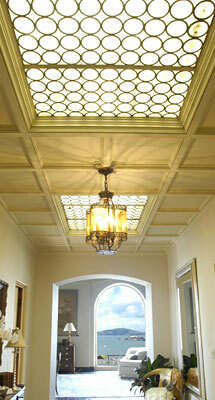 The elevator vestibule opens to the elegant GALLERY which introduces the architectural qualities of the public rooms with its original ceramic tiles, square panels with skylight insets & arched doorways. The impressive GREAT ROOM provides a truly world-class setting for elegant entertaining. The 16 ft ceiling height provides a volume rarely found in a City apartment. 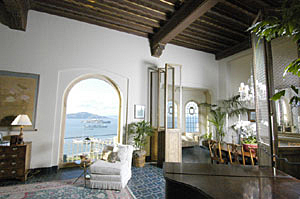 Architectural features include the paneled tall fireplace wall with side-by-side built-in bookcases and two arched picture windows which take in the Aquatic Park & Pier, the Golden Gate Bridge & Alcatraz Island. The DINING AREA can comfortably seat a large dinner party. The chandelier, tall screens and built-in side table add elegance to the space. 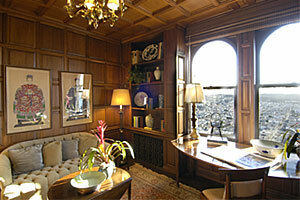 The view alcove with leaded glass windows serves as a cozy breakfast or reading area. Spacious & bright KITCHEN and butler’s pantry await the new owner’s custom installation. 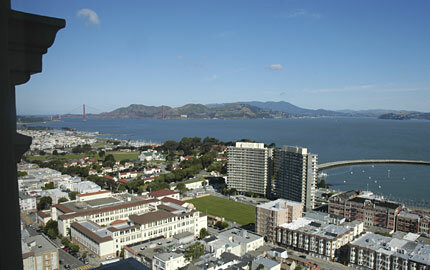 The paneled LIBRARY enjoys stunning Golden Gate Bridge views to the west. POWDER ROOM and guest closet adjoin. 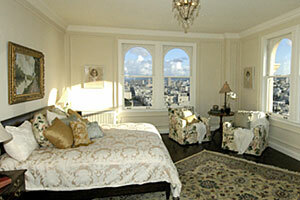 The sunny southwest corner MASTER SUITE enjoys full City scape vistas, Golden Gate Bridge & Bay views to the west. Simply spectacular! The tiled MASTER BATHROOM has a tub & separate shower. The dressing room adjoins. The south and southeast corner BEDROOMS share a full BATH. The original MAID’S ROOM & full BATH access the service elevator and kitchen, and can be used as a GUEST ROOM or AT-HOME OFFICE. Prospective Buyers are advised to review, prior to any offer, the “Seller’s Disclosure Package" available on request with Listing	Agents. Offers to be delivered to TRI Coldwell Banker by June 6th at 1:00pm.